According to the road rules, the headlamps must be turned on even in the daytime. And it is anything but safe to drive at night without a good lighting. If you are not satisfied with the quality of road lighting from your headlamps, maybe you should think about replacing them? The owners of the new cars don’t even think that it is necessary to adjust the headlamps from time to time. Usually, it becomes necessary either during the replacement of a headlamp or a lamp, or on 5-7-th year of the exploitation of the car. If you can adjust the headlamps yourself, try to do it before buying the new ones. It is also possible to do it in the auto shop. Maybe you’ll like the light of the old headlamps after their adjustment. Now the common filament lamps can be found only in the vintage car. The halogen have become the most common ones. 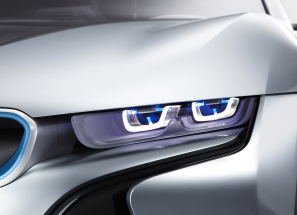 According to the predictions, the future of the car lighting belongs to the LED-lamps. LED-lighting has ceased to be a prerogative of the premium-class cars and can be found even in the reasonably-priced cars. The advantages of LED-lamps are their durability, brightness and cost-effectiveness. As compared to the short-arc lamps, the LED-lamps are cheaper and serve longer. This entry was posted in Road safety and tagged headlamps by carseatreview. Bookmark the permalink.